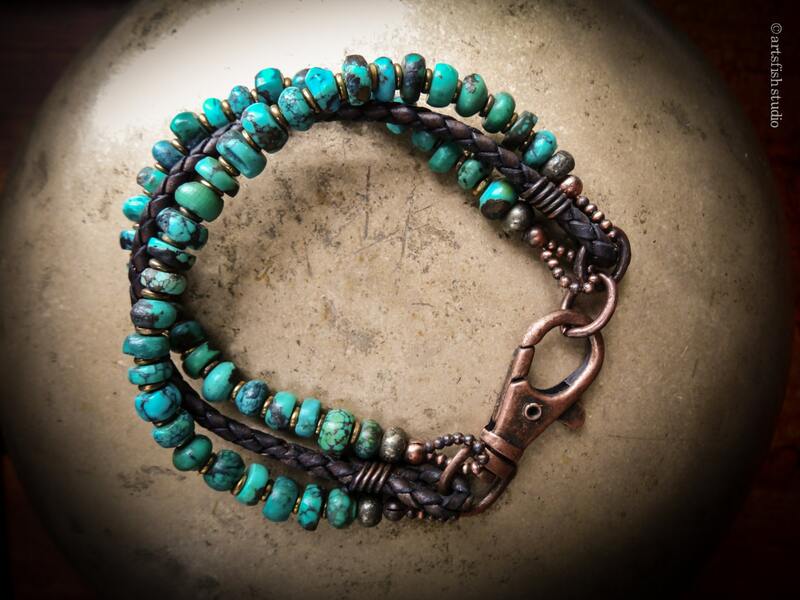 Rugged three strand bracelet suitable for either men or women, made to order in your size or the size of your loved one. 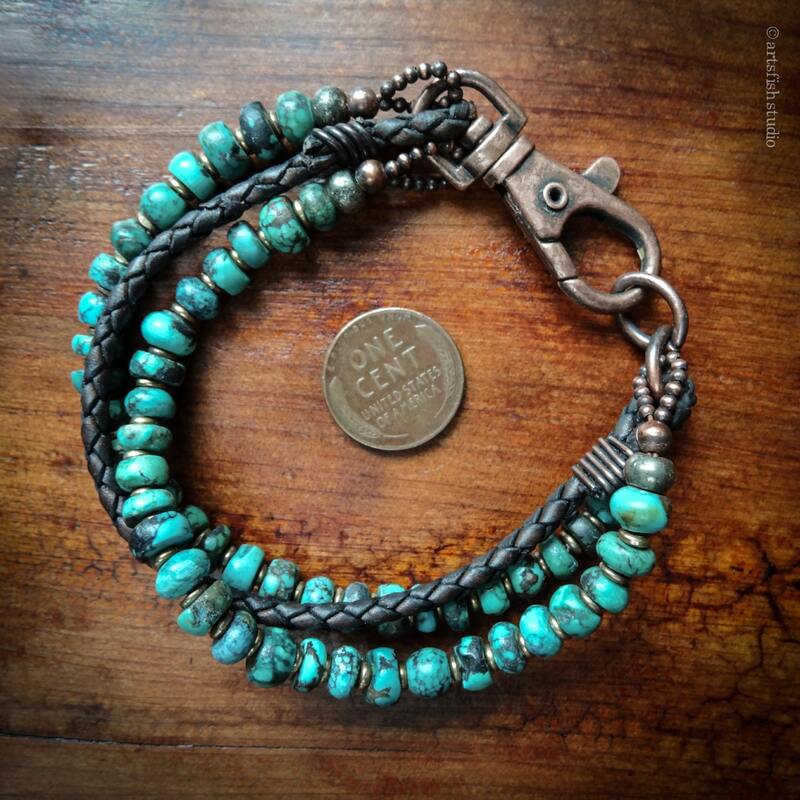 Beautifully matrixed Hubei turquoise is strung on heavy duty multi-stranded copper & nylon coated jeweler's wire. Woven leather is wire-wrapped with solid copper wire. 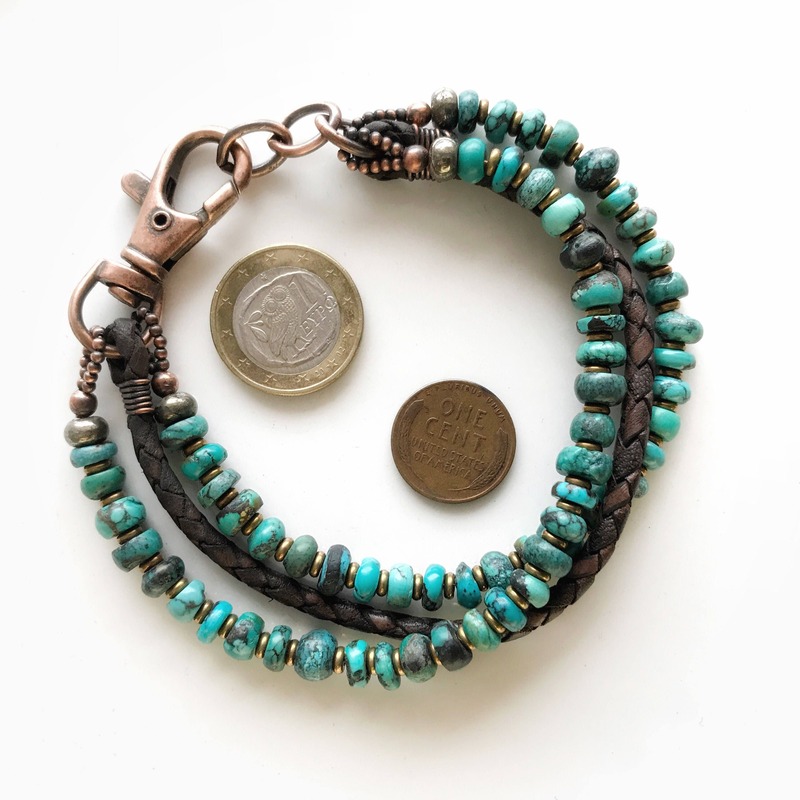 The turquoise is spaced with small brass disc beads for added suppleness and durability. The heavy duty copper alloy spring clasp has a swivel ring for added comfort. 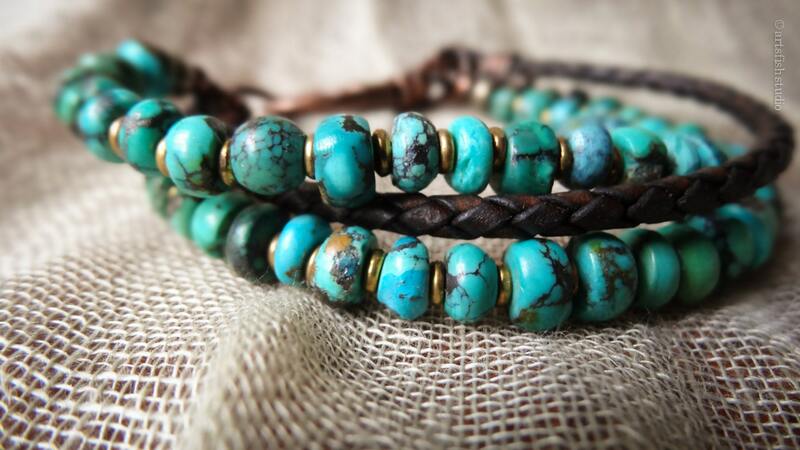 We make these bracelets to last. The copper has been aged and rough polished to bring out the beauty of the copper's natural patina. Please allow an additional 1 to 3 days for the construction of your bracelet in addition to shipping time. 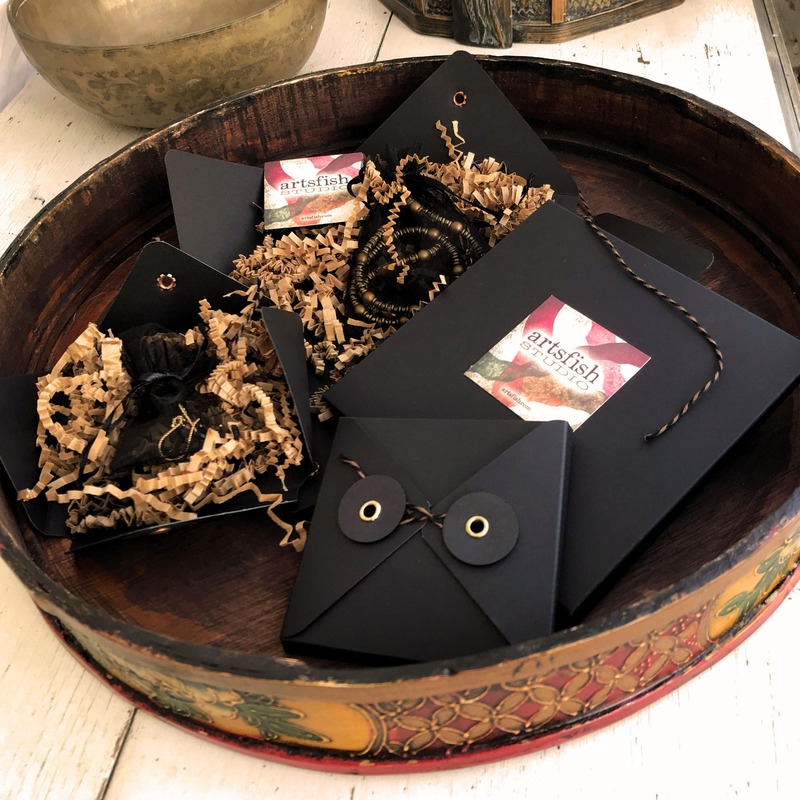 Your jewelry will come packaged in a complimentary gift box. The sizes on the drop down menu will fit the the wrist around, about one inch away from the hand, just past the wrist bone. The finished bracelet will also have a slight amount extra (apx 1/4") for ease and movement. If you have a special sizing request, we're happy to accommodate you. Just choose the closest size from the drop down menu and include a note at checkout. The best way to measure is with with a dressmaker's flexible tape measure, or even a cord (as long as the cord doesn't stretch), and then lay the cord flat along a ruler. To measure an existing bracelet flat is not the best way, this will likely result in a too small measurement. To ensure accuracy do not pull the tape measure or cord so tight that it pushes into the skin. 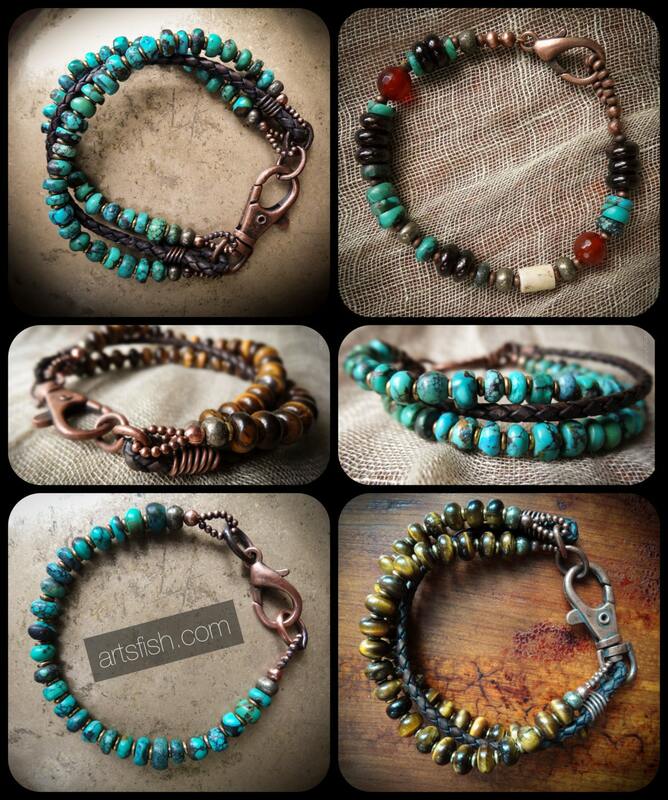 We also make this bracelet in a single strand version, as shown in the images above. Please see our listings for details.